The United States is to deploy 3,750 more troops to its southern border with Mexico as President Donald Trump ramps up his rhetoric in favor of enhanced “security” against what he calls a migrant invasion. The contingents, which are to stay there for three months, will bring the overall number of the troops stationed on the common border to 4,350. The issue of security on the border has been central to Trump’s discourse since he began campaigning for presidency. He has vocally called for the creation of a wall on the frontier, saying the migrants fleeing poverty and violence in Mexico would lead to a rise in crime in the US if allowed in. “Dems (the Democrats) do nothing. If there is no Wall, there is no Security. Human Trafficking, Drugs, and Criminals of all dimensions – KEEP OUT!” he added. Congress refusal to provide Trump with the $5.7 billion he needs to build the wall resulted in the longest government shutdown in the US. On January 25, the president signed legislation to temporarily end the shutdown, dropping his previous insistence on immediate funding for wall construction. He buckled under pressure from Democrats, who have called the wall unnecessary and accused him of trying to create the illusion of a security crisis on the border. 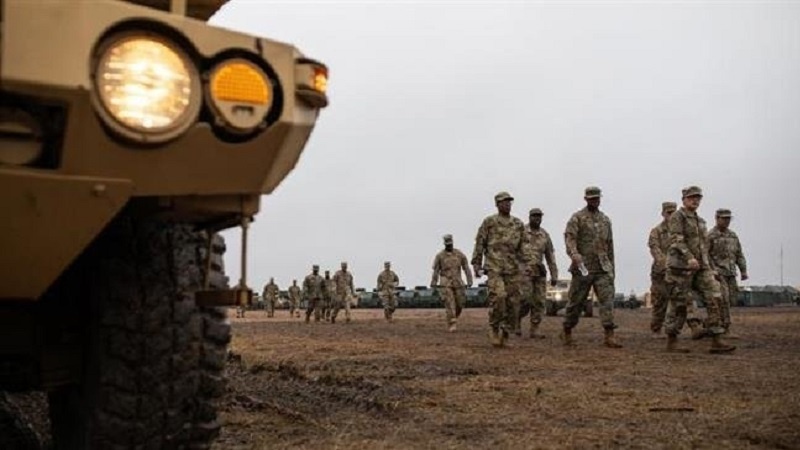 A political analyst says that the issue of troop deployment to the US border with Mexico “is a piece of political theater,” which has nothing to do with improving security. “It has everything to do with political theater and about nothing to do with securing the border,” Frank Emspak, former Executive Director of the Workers Independent News, told Press TV on Sunday. He also said people coming to the US border want to apply for asylum and the solution is to employ judges to process their applications. “Almost every expert in border security has said that the thing that will help most is to have judges to process people’s asylum claims. Almost all the people coming from Central America – these caravans – are coming to ask for asylum not to cross the border illegally,” he said.